Of course a college course about consumption would end with a class about poop. "Let's talk about Chaucerian fecopoetics!" the Rutgers-Camden professor said last week. 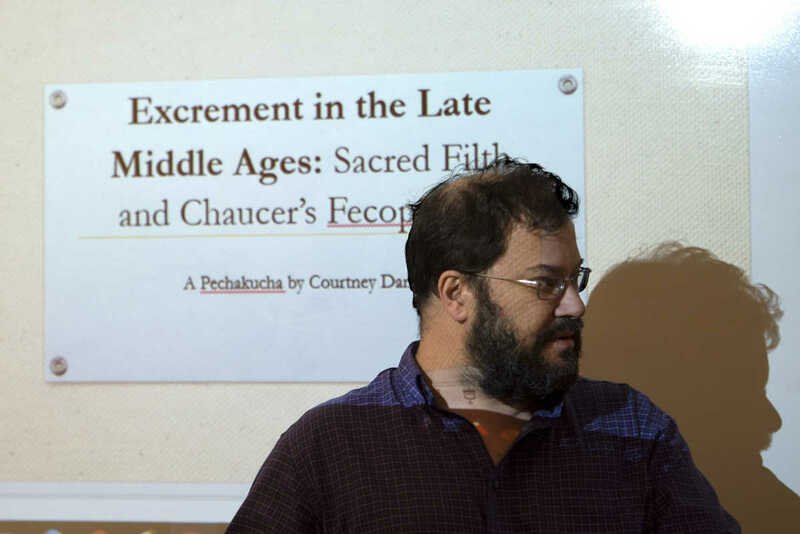 The reading for the day: Excrement in the Late Middle Ages. Oh, boy. 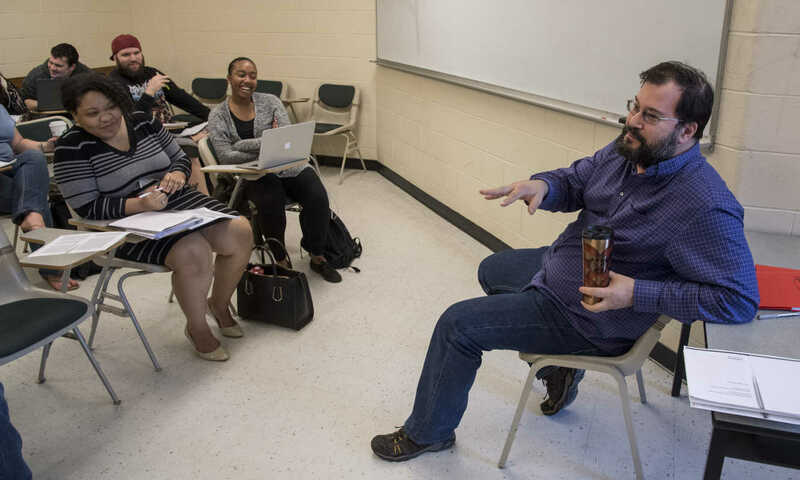 English professor Aaron Hostetter is aiming to connect the medieval to the modern and turn theory concrete for his seniors, a parting gift from their college education. Hostetter's a medievalist, and he knows the texts he studies could be seen as unrelatable and the theories as too abstract. For this course, simply titled "Consumption," students consider all manner of activity, including eating, drinking, and clothes-shopping, to explore the world around them: How do we decide what we want and need, and how do we make decisions about how to get it? Students read Marx, Chaucer, Ovid — but also Anthony Bourdain's Kitchen Confidential. The topics for their final papers read like a survey of pop culture: greed in Willy Wonka and the Chocolate Factory, cannibalism and zombies in World War Z, childhood eating trauma in Alice in Wonderland, heroin in the autobiography of Mötley Crüe bassist Nikki Sixx. "They can see how this theory and these ideas relate to stuff that they identify with," Hostetter said. "This struck me as much more relevant than a capstone on late Jacobean dramatic forms or something like that, which is interesting, but needs a pressing issue." Last week, on the last day of class before students began presenting their final papers, Hostetter's approach seems to be working. In the cramped classroom in Armitage Hall, the abstract theory of Chaucerian fecopoetics becomes relatable, intimate. Aaron Hostetter during the last Consumption class before student presentations. The topic: excretion. Listening at left is student Tiara DeGuzman. Students discuss the language of defecation and bathrooms, including profanity, "stool samples," and "the John." A spirited discussion breaks out over "Little Girl's Room." Swapping stories, one woman talks about the experience of eating a cheeseburger while on the toilet; another described the awkwardness of needing to use a friend's bathroom for the first time. Hostetter tells the students he loves how they've brought the theory down to the real world. "We talk about Marx, and nobody's going to jump in and say, 'Well, I had this one experience with a commodity and was totally alienated!' " he said, as the students laugh. "Nobody ever says that." 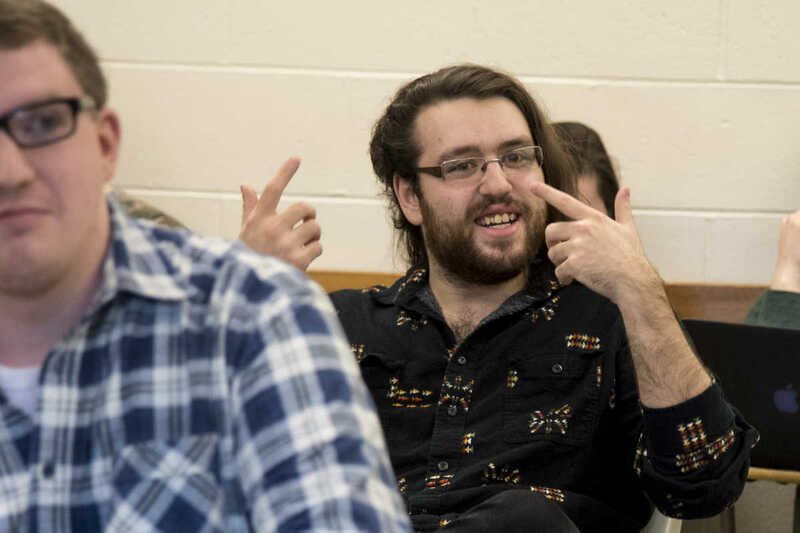 Bill Epstein, 22, an English and education major from Glen Rock, Bergen County, is writing his final paper about Seinfeld, an idea that began as a joke — "Ha ha, I can write about anything, I'll write about this sitcom I like" — but the more he thought about it, the more serious the topic became. "I wrote, 'George Costanza owns the means of his own production,' which is an insane sentence," Epstein said. "But it makes perfect sense." Rutgers-Camden student Bill Epstein is writing his final paper on consumption in Seinfeld. In his own life, Epstein said he's become more conscious about consumer decisions, recently rejecting a package of ground beef for tofu. And while making a purchase for the trading-card game Magic: The Gathering, he said, "As I was typing in my debit card number, I was thinking, What the heck am I doing? These are pieces of cardboard that I'm spending money on." He still bought the cards, but it made him think beyond his usual main concern, affordability. "Consumption," the course, has changed consumption, the activity he engages in every day. "If people are thinking about why, or what does it mean, or do I need this, then all of a sudden they're empowered a little bit, to some degree, and that will change their life," Hostetter said. Tiara DeGuzman, 23, an English major from Cherry Hill, is writing about the Jordan Peele movie Get Out and the consumption of black bodies. She's seen the movie five times. Issues of race and, particularly, the experience of black people in largely white spaces, are deeply personal ones for DeGuzman, who grew up in largely white Cherry Hill. Tiara DeGuzman’s final paper explores the consumption of black bodies in Jordan Peele’s movie Get Out. Listening behind DeGuzman is fellow student Amanda Meyers. "It's really empowering to have the words and the theories to back up my experiences," DeGuzman said. Looking back at the theoretical works she's read and the ancient, medieval, and Renaissance texts, she draws parallels to her own life today: "These concepts all affect you. You may not think they do, but think of a personal story, think of a movie you just watched. … Every single text has to do with my life." 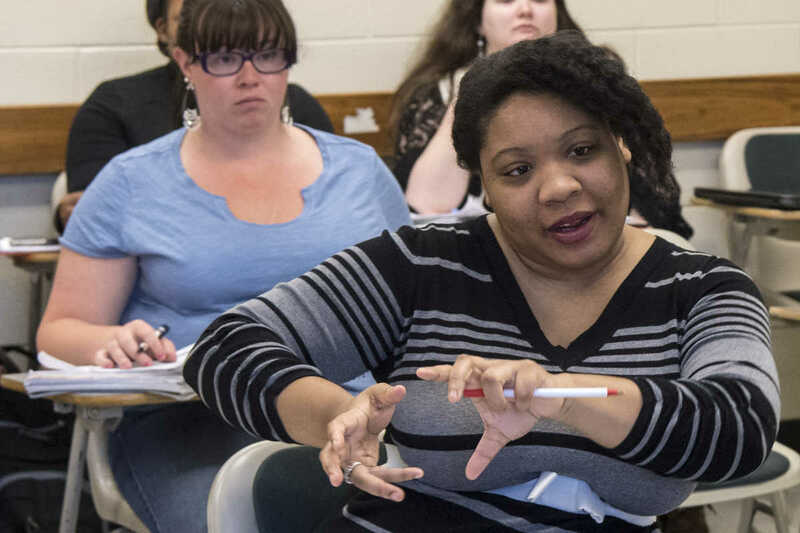 Now, in DeGuzman's last few weeks of college, as she's looking forward — graduate school at Ohio State University, a life navigating issues of race, class, gender — she has a few more tools to look at the world. "When you surround yourself with ideas about consumption, you're called to really take a look at yourself. It causes a lot more self-awareness, and I think having that sort of grasp of self is necessary because we're graduating," DeGuzman said. "This is such a great class to end with because it's called on us to really be continuously critical of the systems that we live in."